Brunswick (German: Braunschweig) was a historical state in Germany. Originally the territory of Brunswick-Wolfenbüttel in the Holy Roman Empire, it was established as an independent duchy by the Congress of Vienna in 1815. Its capital was the city of Brunswick (Braunschweig). The title "Duke of Brunswick and Lüneburg" (German: Herzog zu Braunschweig und Lüneburg) was held, from 1235 on, by various members of the Welf family who ruled several small territories in northwest Germany. These holdings did not have all of the formal characteristics of a state, being neither compact nor indivisible. When several sons of a Duke competed for power, the lands were often divided between them; when a branch of the family lost power or became extinct, the lands were reallocated among surviving members of the family; different dukes might also exchange territories. The unifying element of all these territories was that they were ruled by male-line descendants of Duke Otto I. After several early divisions, Brunswick-Lüneburg was unified under Duke Magnus II (d. 1373). Following his death, his three sons jointly ruled the Duchy. After the murder of their brother Frederick of Brunswick Lüneburg, brothers Bernard and Henry redivided the land, Henry receiving the territory of Wolfenbüttel. The territory of Wolfenbüttel was recognized as a sovereign state by the congress in 1815. It had been a portion of the medieval Duchy of Brunswick-Lüneburg. From 1705 onward, all other portions of Brunswick-Lüneburg except Wolfenbüttel had been held by the Duke of Calenberg and Celle, i.e the Elector of Hanover, but the Wolfenbüttel line retained its independence from Hanover. The Wolfenbüttel principality had for the period from 1807 to 1813 been held as part of the Kingdom of Westphalia. The Congress of Vienna of 1815 turned it into an independent country under the name Duchy of Brunswick. The underage Duke Charles, the eldest son of Duke Frederick William (who had been killed in action), was put under the guardianship of George IV, the Prince Regent of the United Kingdom and Hanover. First the young duke had dispute over the date of his majority. Then, in 1827, Charles declared some of the laws made during his minority invalid, which caused conflicts. After the German Confederation intervened, Charles was forced to accept those laws. His administration was considered corrupt and misguided. In the aftermath of the July Revolution in 1830, Charles finally had to abdicate. The palace in Brunswick was completely destroyed. When Charles' brother William VIII, arrived in Brunswick on 10 September, he was received joyfully by the people. William originally considered himself only his brother's regent, but after a year declared himself ruling duke. Charles made several desperate attempts, unsuccessfully, to depose his brother. William left most government business to his ministers, and spent most of his time outside of his state at his possessions in Oels. While William joined the Prussian-led North German Confederation in 1866, his relationship to Prussia was strained, since Prussia refused to recognize Ernest Augustus II of Hanover, 3rd Duke of Cumberland, his nearest male-line relative, as his heir. While the Kingdom of Hanover was annexed by Prussia in 1866, the Duchy of Brunswick remained sovereign and independent. It joined first the North German Confederation and in 1871 the German Empire. In 1870s at latest it became obvious that the then senior branch of the House of Welf (dukes of Brunswick) would go extinct. 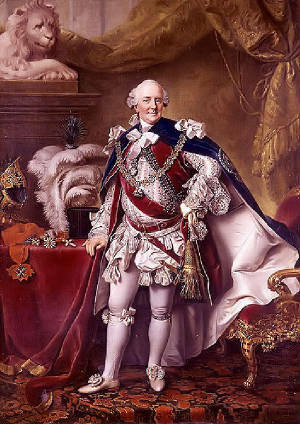 By house law, the House of Hanover would have ascended the ducal throne, but there was strong Prussian pressure against having George V of Hanover or his son, the Duke of Cumberland, succeed to a member state of the German Empire, at least without severe conditions, including swearing allegiance to the German constitution. By a law of 1879, the Duchy of Brunswick established a temporary council of regency to take over at the Duke's death, and if necessary appoint a regent. 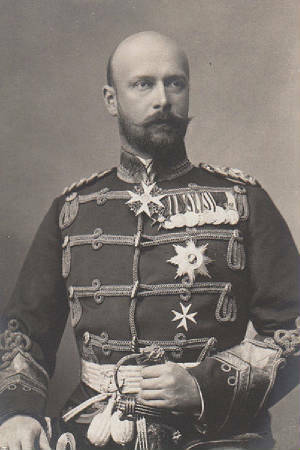 With the 1884 death of Duke William, the Wolfenbüttel line came to an end. The duchy would have passed on to the Hanover line, but since the Hanoverians refused to accept the Prussian annexation of their kingdom, they were not allowed to accede to rule in Brunswick. A constitutional crisis ensued in Brunswick. The Duke of Cumberland proclaimed himself Duke of Brunswick at the Duke's death, and lengthy negotiations ensued, but were never resolved. This situation lasted until the accession of Ernest Augustus, the son of the Duke of Cumberland, in 1913. 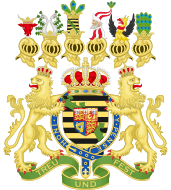 The duchy was governed by regents until 1913, when the Hanover line was reconciled with the Hohenzollern dynasty and renounced its rights to the Kingdom of Hanover. 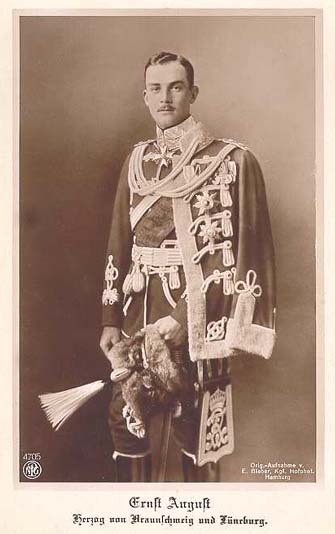 The Duke of Cumberland's eldest son having died in 1912, the elderly Duke renounced Brunswick in favor of his youngest son who married the Kaiser's daughter, swore allegiance to the German Empire, and was allowed to ascend the throne of the duchy on November 1913. In 1918 the Duke had to abdicate and the Free State of Brunswick was founded as a member state of the Weimar Republic. 1815-1830: Charles II, son of Frederick William. Forced to flee Brunswick in 1830 and succeeded by his brother. 1830-1884: William VIII. Brother of Charles II. Last of the Brunswick line, following which the legal succession passed to the Hanoverian royal family, which had been dispossessed by Prussia following the Austro-Prussian War of 1866. The Duchy of Brunswick was subdivided into districts (Kreise) in 1833. The following districts existed from 1833 to 1946: District of Blankenburg (former County of Blankenburg): Blankenburg, Hasselfelde and Walkenried, City of Braunschweig, District of Braunschweig: Braunschweig, Riddagshausen and Vechelde, District of Gandersheim: Gandersheim, Seesen, Lutter am Barenberge and Greene, District of Goslar (from 1885 on), District of Helmstedt: Helmstedt, Schöningen, Königslutter, Vorsfelde and Calvörde, District of Holzminden (until 1942): Holzminden, Stadtoldendorf, Ottenstein and Thedinghausen, City of Watenstedt-Salzgitter (from 1942 on), District of Wolfenbüttel: Wolfenbüttel, Salder, Schöppenstedt and Harzburg. The members of this family bear the title Prince or Princess of Hannover, of Great Britain and Ireland, Duke or Duchess of Braunschweig-Lüneburg, together the formal appellation of His or Her Royal Highness. 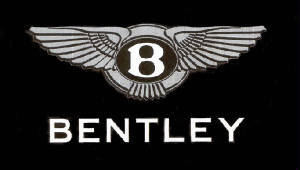 The British titles are due to their male-line descent from King Ernst August I of Hannover, son of King George III of Great Britain and Ireland, and are used by the family in spite of the British Crown stripping the family of their British titles, including the Dukedom of Cumberland and Teviotdale, during the First World War. The duchy of Brunswick was formed out of the possessions of senior branch of the house of Brunswick. The house of Brunswick originated in Othbert Count Palatine of Este in Italy. This family acquired the inheritance of the Guelph family by marriage - around the year 1000 - of Azzo II with Kunigunde, daughter of Welf II. Again important possessions were gained in (Lower-)Saxony by the marriage of Henry 'the Black' to Wulfhild (d 1126), last of the Billung-family who had been dukes of Saxony for the last ages. They were made lord of Brunswick and Lüneburg in 1181 and dukes of Brunswick-Lüneburg on 12 August 1235. In 1546 the house of Brunswick-Lüneburg divided into the branches of Lüneburg (principality of Hanover) and Wolfenbüttel (the duchy of Brunswick). Both branches used in their arms the two lions of Brunswick (said to be granted by the English king to his son in law, the duke of Brunswick in the thirteenth century), the blue lion of Lüneburg and the white horse of Saxony. The white horse is said to be the emblem of the eighth century Saxon duke Widukind after he and his barons were forcebly baptized by Charlemagne. Before he would have flown a black horse on a yellow cloth. The standard of the dukes of Brunswick given by Siebmachers Wappenbuch, Nurenberg 1878, shows the white horse on a red cloth. The flag was blue over yellow. 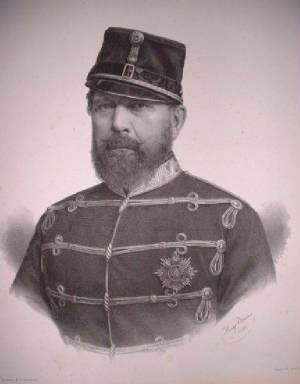 The branch of Brunswick-Wolfenbüttel died out however with Duke William on 18 October 1884. Brunswick and Hanover should have been rejoined at that time, but Prussia had annexed the kingdom of Hanover in 1866 and now prevented the younger branch of the house of Brunswick from taking up the ducal crown. Only in 1913 was peace sealed with the marriage of prince Ernest Augustus of Hanover to Victoria Louise, daughter of the German emperor William II. This couple was enthroned in the duchy of Brunswick. The flag they adopted shows however very much the English pattern in its form and contents. In the first and fourth quarter are the two lions of Brunswick, in the second and third the lion of Lüneburg. In the centre are the arms of Hanover (which are still on those of Great Britain!) now with a ducal crown. (source: Bulgaria Berühmte Fahnen Deutscher geschichte, Dresden 1922, p 61). To this day the princes of Hanover also are titled 'Prince(ss) of Great Britain and Ireland, Duke of Brunswick and Lüneburg'. 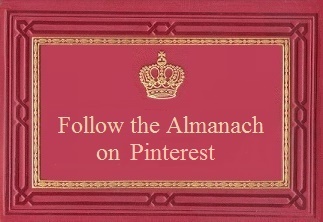 This is not a valid style under British law, however, as no application has been made to restore the titles removed by the Titles Deprivation Act, 1917.